The Bahá’í holiday the Declaration of the Báb is coming up next week, so I wanted to share some fun activities we did to celebrate last year. There are lots of creative ways you can celebrate. One year we held a play date, complete with storytelling and games, while another year we had a treasure hunt in a park. This year we did a scavenger hunt and craft, rounded out with some treats! In the past we’ve focused on the idea of search, to commemorate Mulla Husayn’s search for the Promised One (the Báb). To continue this theme, our first activity was a simple scavenger hunt at the park. Simple is key because the boys were still rather young (4 and 1), and we were at the park, so I knew their attention spans for structured activities would be rather short. 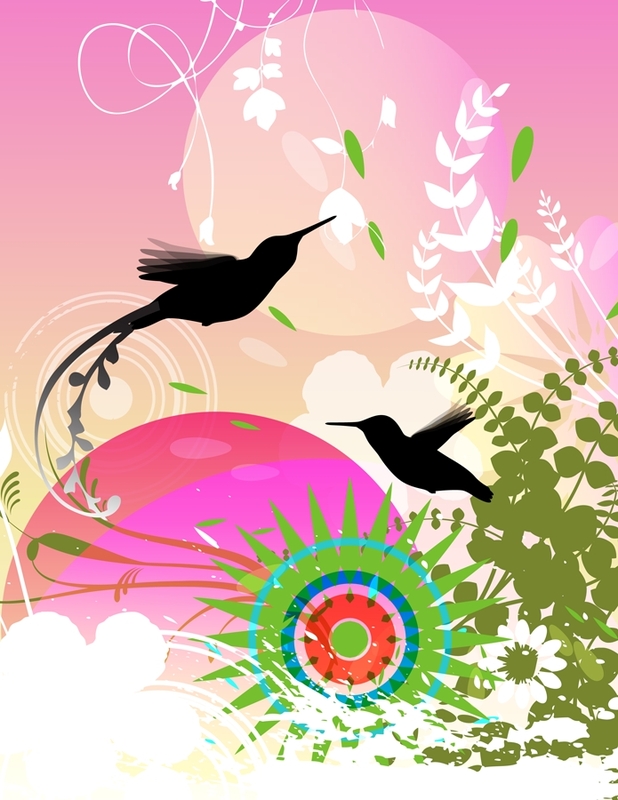 For the items on their list, I threw in some general spring items (flowers, birds), plus others to do with the holy day: Since “the Báb” is an Arabic title meaning “the Gate” I had them look for any gates. (There were several at this park; if there aren’t any at yours, you could always modify it to include doors). And since green was a color associated with the Báb (throughout much of Islamic history in Persia, only the descendents of Muhammad, such as the Báb, were allowed to wear green), I also had the boys look for as many green things as they could find. Not hard to do in a park! Following up on the color green, after we got home we did a modified version of this really fun fireworks painting craft from Artsy Momma. The kids enjoyed the novelty of painting with the pipe cleaners (painting with unusual materials is always a hit! ), and their paintings turned out beautifully. And, of course, since it was a holiday, we couldn’t forget the treats! I found these great treat boxes at the Dollar Tree in the section for wedding showers. They came flat, which made them easy to decorate, plus Monkey had fun “building” his box once it was done. And they were just the right size for the pencils, stickers, and lollipops I had gotten for them. In fact, Monkey’s treat box remained in his room as a holder of miscellaneous treasures for quite some time. Happy Declaration of the Báb! How are you celebrating? As promised in an earlier post, here is the full story behind the star cookies we made recently for the Declaration of the Bab holiday. It seemed so simple: a great recipe, an easy activity to do with my toddler, so no problem getting it done before dinner, right? Well, let’s just say it was lucky that we have a great burrito place near our house, or we might have had to eat cheese and crackers that night. Let’s begin with the great recipe. Elsewhere I’ve talked about the wonderful Weelicious site, which has great recipes for busy parents. I know I can count on her recipes to be nutritious and something my toddler would actually eat, and these wonderful Lemon Poppyseed Cookies were no exception. I knew I wanted a cookie that we could cut into shapes, and these seemed like the perfect, light flavor for a springtime holiday. I had to skip the poppyseeds, since they aren’t sold at my local grocery store, and I didn’t have time to make a trip to a specialty store. I also decided to forgo the icing, since we would be serving the cookies just before the kids’ naptimes, and I wanted to minimize the sugar rush. Tip #1: Experiment with new recipes when you are not baking for other people, especially at a special event. Even though I knew the recipe was from a reliable source, it still would have been smart to whip up a batch ahead of time just to test things out and make sure I had understood all of the directions. In all of my free time, right? Instead, I jumped right into making the cookies the afternoon before the big event, leaving myself exactly zero wiggle room in case of trouble. But the recipe seemed simple enough, so what could go wrong? As it turned out, a major crisis did ensue. We’ll get to that later, but for now, just take note that when a recipe says to “gradually add flour until dough just comes together” that may be an important detail. “Until just comes together.” As in, you may not add all of the dough. As in, things may go very wrong if you are distracted by a toddler and don’t notice when the dough just comes together and aren’t really sure what that means anyway. But more on that later. For now, just shiver a little in anticipation of disaster just over the horizon. 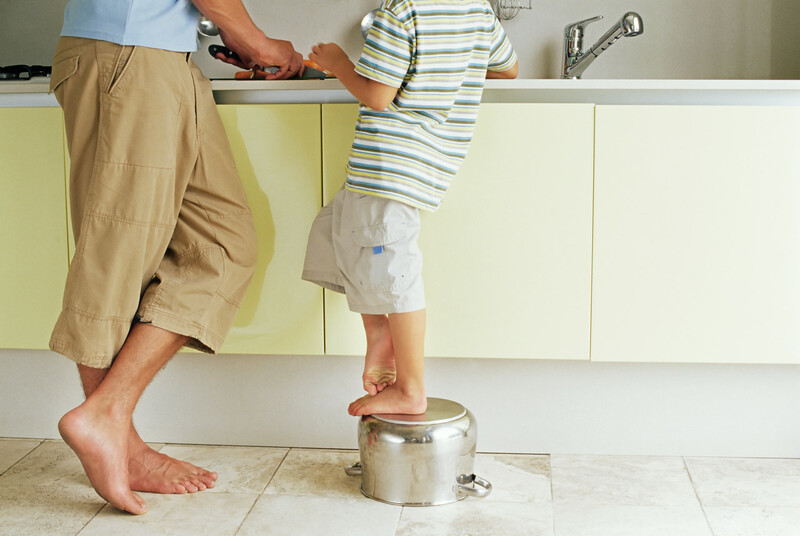 Tip #2: If you invite your toddler to help you, make sure you mean it. Luckily, I did. But be sure that you know what you are getting into if you invite your toddler into the kitchen. It will be messy and slow – and fun! But you have to accept the first two in order to really enjoy the latter. My little Monkey was so excited to help make cookies. We had made gingerbread cookies during the winter, and he still remembered how much fun he had had with them. Fortunately, I also remembered how that was, so I was a little more prepared this time. So rather than work at his small table in our dining area (carpeted), I pulled it into the kitchen, making the mess a lot easier to clean when we were all done. Tip #3: Set your priorities and lower your expectations accordingly. If you expect to bake perfect cookies in no time flat with little mess, than you have no business bringing your toddler into the action. You will only become frustrated and in all likelihood take it out on your little one, who has very different ideas about what is going to happen. I never realized how uptight I was about messes until I had a toddler. Now I am working hard to relax and enjoy the moment. If there is going to be a big mess, you might as well make it worth it! If you are working alone, you will probably complete the steps a certain way in order to be efficient. But that may not be the most efficient way to do things when you have a little helper. For example, normally I would roll out all the dough, then cut out all the shapes, then move them all to the cookie sheet. 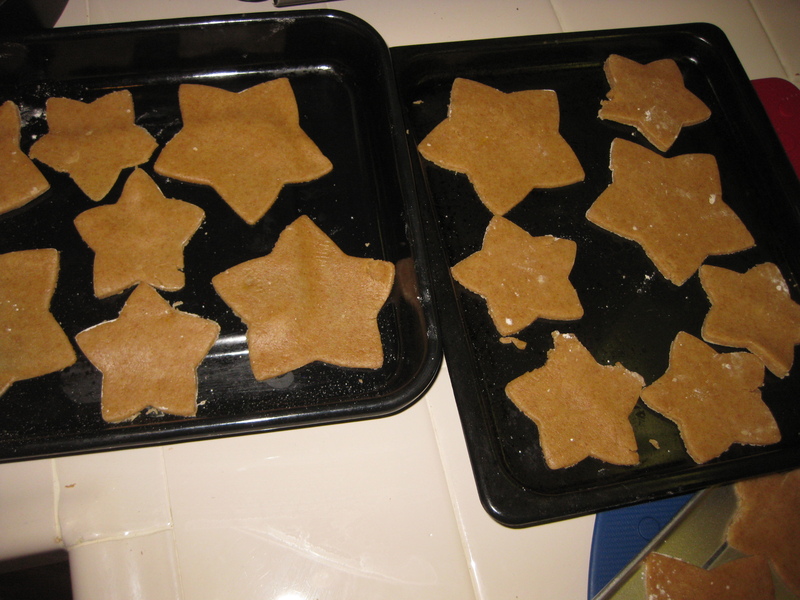 When I did that with my little Monkey helping, however, dough had disappeared into that little Monkey mouth before I could cut out all the stars, and what stars I could do were often “transformed” into half-stars and other shapes by the time I could put them onto the cookie sheet. Tip #5: Plan for detours. 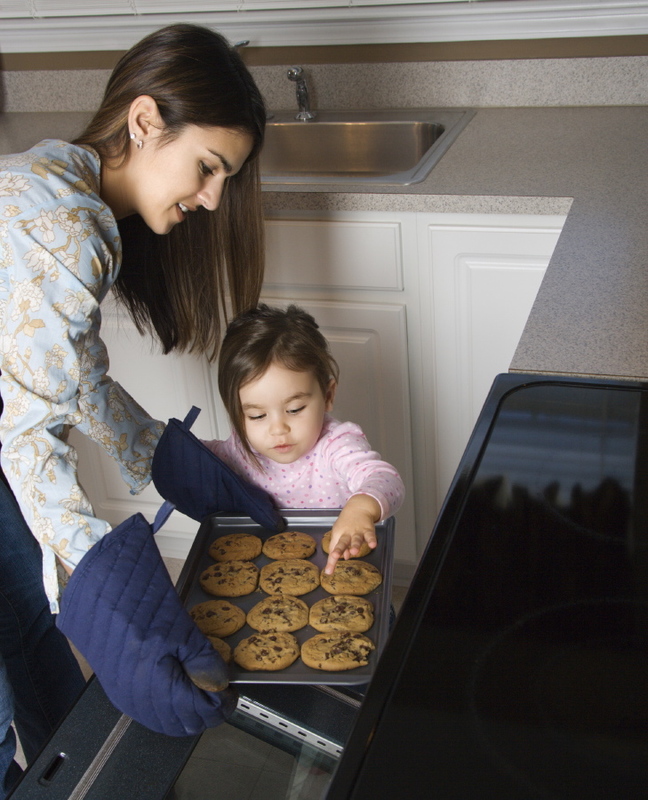 Reliably, your child will have a messy diaper or need to go potty when the cookies have just three minutes left to bake. Do you see if you can wait, or try to make a run for it before the timer goes off? And what to do when your little Monkey, covered in flour from head to foot, decides to take off for the living room, bouncing off all the furniture, just as you have your hands full with hot cookie sheets from the oven and can’t possibly chase him down before everything is covered in a fine mist of white powder? Some cookies will burn. And some stars will be missing a point or two. And some key ingredient will probably be forgotten. But chances are everyone will love them anyway, especially if they know your little one helped! Tip #6: When all else fails, make sure someone wise is available to give you advice. 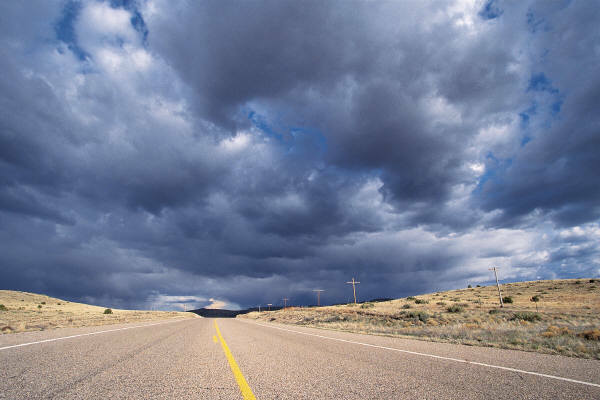 Remember those storm clouds hovering on the horizon? They managed to stay at bay until the kitchen was cleaned, showers taken, dinner eaten, and a restful night’s sleep enjoyed. In other words, just when we had let our guard down and just when there was no time left to make anything else. Remember that line I told you I skimmed past? About adding flour until the dough just came together? Looking back, I believe that oversight was the source of my problem. Because the next morning I meandered into the kitchen, expecting to enjoy a little nibble on our lovely star cookies – only to discover that they were hard as rocks! My husband and I both tried but could hardly swallow the sharp shards we managed to break off. I dialed my mother in a panic, visions dancing in my head of little children breaking their teeth as they bit into the star-shaped hockey pucks. What could I do?? Well, in case any of you thought my Mother’s Day post was pure sentimentality, witness how she easily solved my impossible crisis from nearly 3,000 miles away, as she was working in her garden. I like to imagine her on the other end of the line, sitting amongst her flowers, gardening gloves in her lap, birds and squirrels twittering about her, just as in Cinderella, as she very calmly explained to me that yes, we could fix this, and no, it wasn’t a complete disaster. How so, you are wondering? Icing! But wait, you say, how can icing help? And won’t that give the kids that dreaded sugar rush we were hoping to avoid? Is it really worth it?? Fear not, my mother is even more clever than you imagine. 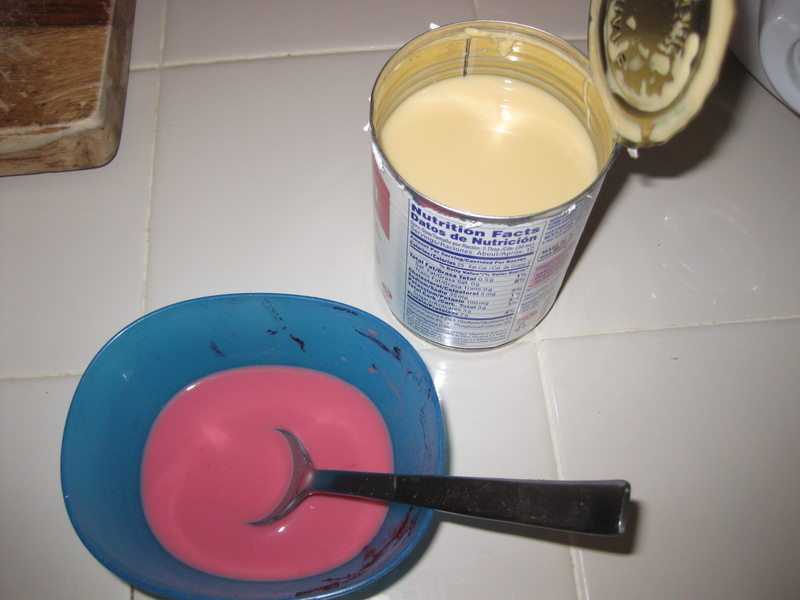 The icing was simply evaporated milk mixed with beetroot powder for coloring. (I still had some beetroot powder on hand from an earlier project). I knew that we had used this method to “paint” sugar cookies when I was a kid, but I had so far avoided it in the mistaken belief that evaporated milk was full of sugar. It isn’t! It’s just as the name says, evaporated milk. (I had been confusing it with sweetened condensed milk, which is super sweet). So I whipped up a quick little batch of the “pink paint” and got to work. This would have made a nice activity for the kids at the party, but since it was a last minute decision, I didn’t have the paintbrushes, etc I would have needed. Instead, I just used my finger to quickly spread the pink milk onto the cookies. I ended up painting them all twice, although once would have probably been fine. Not only did the milk soften the cookies without breaking them down completely, it also gave them a bit of extra creaminess and a nice pink color. My little Monkey was even more excited about his star cookies once they were pink! (For the record, another last minute tip for softening hard cookies is to microwave them, uncovered, along with a mug of hot water). And so, in the end, the cookies were not only edible but cute, too. And so they weren’t perfect. The truth is that my cookies were never perfect even when I was baking alone – so at least now I have an excuse! 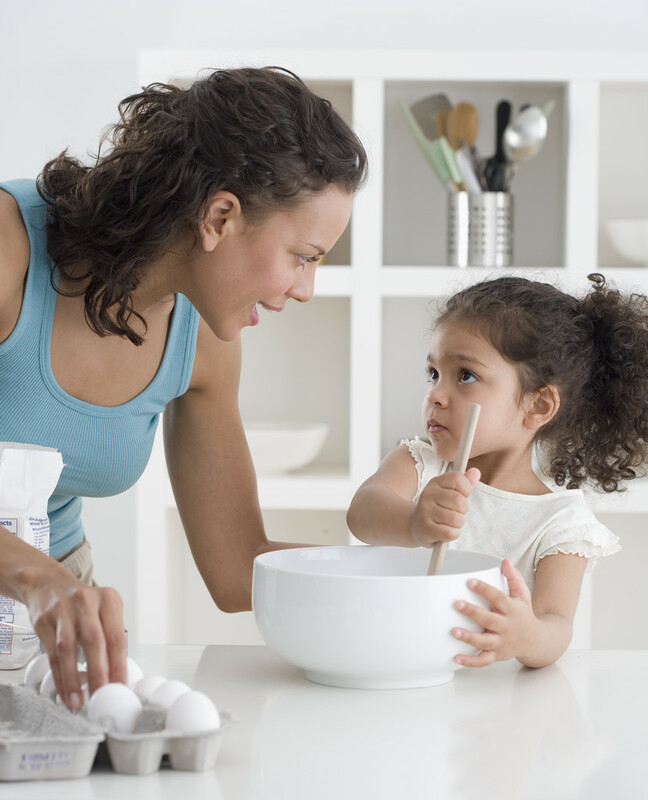 For more tips about cooking with your kids, check out this great post from Tammy’s Recipes. Last night and today, Baha’is all around the world celebrated the Declaration of the Bab, a holy day that marks the very inception of the Baha’i Faith, which started with a simple but profound declaration of belief by one young man in a house in Persia over a century and a half ago. This beautiful story was one of my favorites as a child, so of course I wanted to help bring it to life for my little Monkey. Unfortunately, since the actual historical event took place late in the evening, community celebrations do as well, so some of us decided to schedule an additional celebration during the day for little ones who wouldn’t be able to stay up late enough for the other. From the Core Curriculum materials (beginning on page 196), I got the idea of using stars as the theme for our celebration. My little Monkey is fascinated with stars, and it gave us a way to talk to the little ones about Mulla Husayn’s spiritual quest. 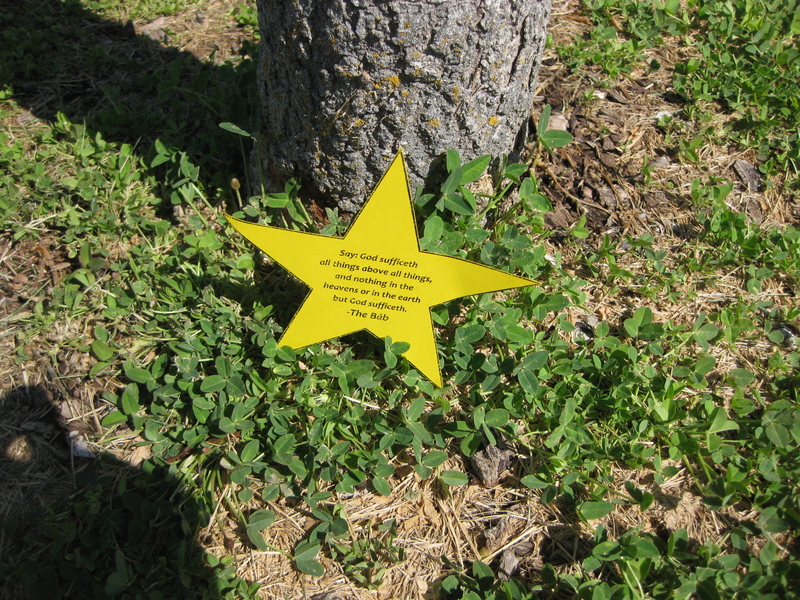 Since the Holy Day is all about a spiritual search, we decided to have a simplified treasure hunt using stars. 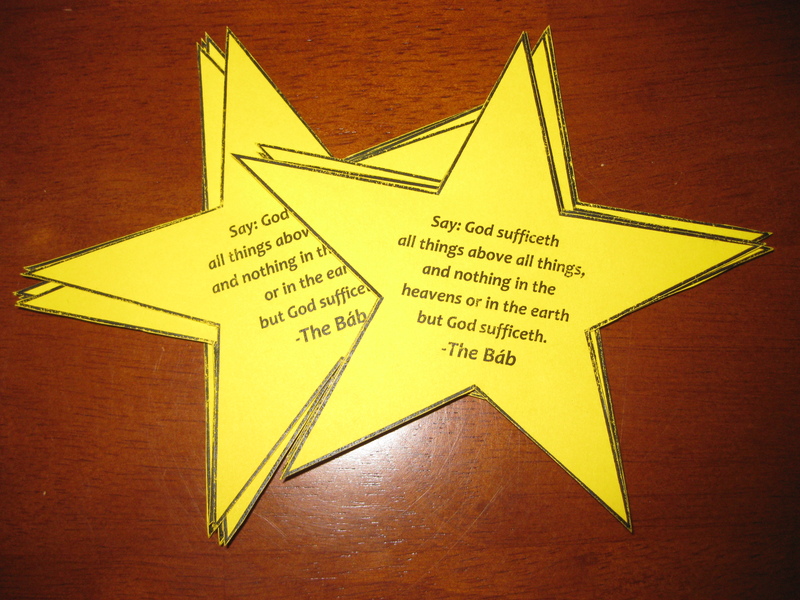 I created the stars in Word, added a prayer from the Bab, and printed them on yellow cardstock. Here is the template for them in Word (Treasure Hunt Stars) and as a pdf (Treasure Hunt Stars PDF). As it turned out, the park we chose – usually empty on weekday mornings – was also being used for an end-of-year barbecue for a local elementary school class! I was a little nervous to hide our stars in the park with all those extra little ones running around, plus the children that came to our celebration were a little on the young side for a treasure hunt. In the end we decided to skip it and just give the stars to the kids as a present when telling the story of the Bab and Mulla Husayn. 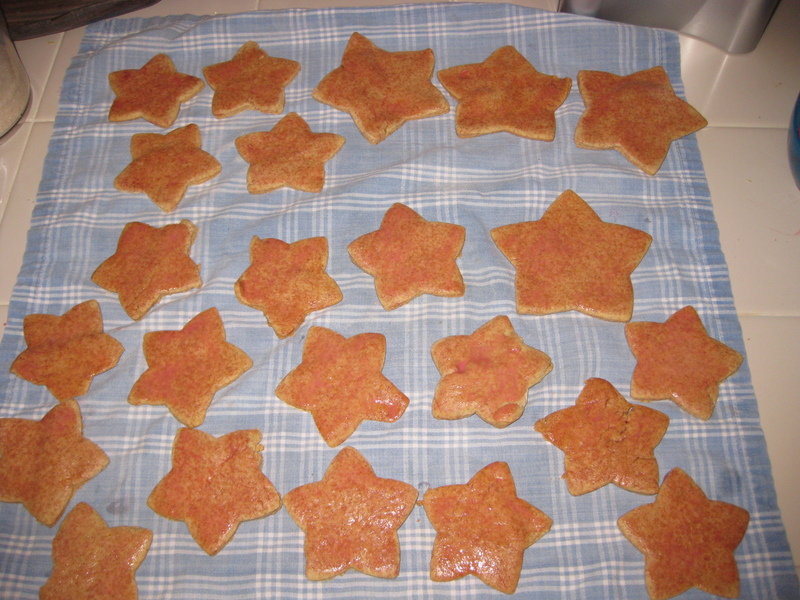 To complete the star theme, my little Monkey and I made star cookies to share with everyone. Making them was an adventure in itself, which I will relate in a future post, but the short version is that we had a good time and the kitchen looks almost normal again. 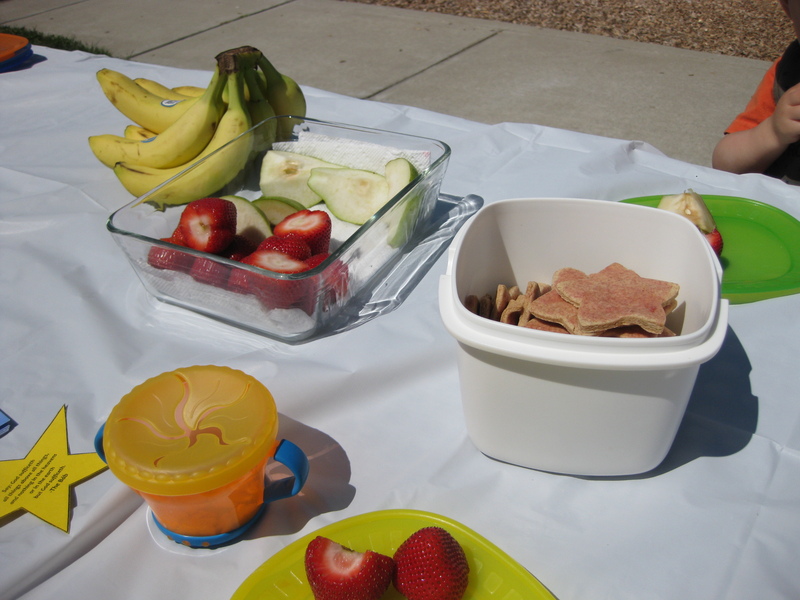 Another mother also brought delicious fruit to share, which tasted wonderful as we sat at our picnic table on this warm, breezy morning. As they munched, we told the children the story of the holiday, gave them their stars, and sang a few songs based on prayers of the Bab (“Say! God sufficeth…” and “Is there any Remover of difficulties…”) Afterwards, the kids enjoyed more time on the playground as the grownups chatted. What a wonderful way to spend the holiday! This post has also been shared at Bowdabra’s Saturday Showcase.